The People That Power the Products. Founded by business people that happen to be developers, our team works with respect and integrity – not always doing what is most profitable – willing to argue for what is right – always in the best interest of our clients. We believe your success and ours comes from doing the right thing. Jeff has been building companies and fueling his entrepreneurial spirit for more than two decades. 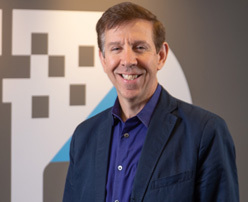 His expertise spans several industries, including consulting, information technology, and telecom — all of which led to the founding of DataServ in 1994. Although the term had not been developed yet, DataServ was the first Software as a Service (SaaS) provider of document and process automation. Jeff has led the company through many growth phases and at least two recessions – all while successfully building and maintaining strong customer relationships. He is frequently a speaker at AP, AR, and HR industry events. Jeff is the former board president of the Foster & Adoptive Care Coalition, which is focused on eliminating the time kids spend in foster care by quickly finding them homes. With more than 20 years of leadership experience, degrees in both accounting and IT, and deep expertise in software development, Kathi shapes our product vision. Prior to DataServ, Kathi spent 10 years in Deloitte’s audit practice, where she served several Fortune 500 clients as a CPA. This is where she gained an in-depth understanding of AP, AR, and HR transaction cycles. 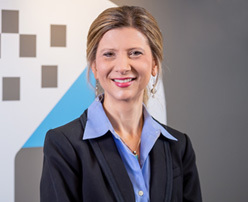 Her passion, integrity, and fairness have led DataServ to solid profitability, excellent client relationships, and a strong team, which are our most valuable assets. Kathi has been recognized on the list of Most Influential Business Women in St. Louis. 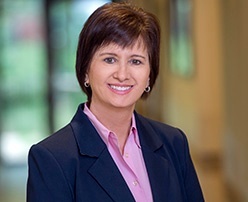 She was formerly on the governing board for the Foster & Adoptive Care Coalition, the finance committee at Forsyth School, and currently serves on the marketing committee of The St. Michael School of Clayton. Julie is passionate about technology and helping clients improve business processes. She has more than 20 years of experience, with a focus on enterprise content management and leading professional services teams. Julie previously served as Vice President of Professional Services at KnowledgeLake. Most recently, she assisted RecordLion, a local SaaS company, in building the processes for their services team. She has a Computer Information Systems degree from Missouri State University and an MBA from Washington University. She is certified by the Institute of Finance & Management as a P2P solutions consultant. Julie has a passion for teaching and is an adjunct faculty member at St. Louis University. Julie enjoys spending time with her family, hiking, and mountain biking. Jamey is responsible for strategically designing and guiding the product vision and roadmap for DataServ solutions. Since joining the DataServ team in 2004, Jamey has developed a deep understanding of the technology behind the DataServ platform and serves as a liaison to the marketplace, bringing the voice of our users to product decisions. She is certified by the Institute of Finance & Management as a P2P solutions consultant and has completed the Product Management Certificate Program from the University of California, Berkeley, where she mastered customer-focused design and frameworks. Jamey has a bachelor’s degree in business administration and a master’s degree in management information systems from the University of Missouri-St. Louis. She lives in O’Fallon with her husband and three children. With vast technical knowledge, strong leadership skills, and more than 20 years of supply chain technology experience, Drew is dedicated to ensuring technology investments keep pace with a company’s ever-evolving operational needs. 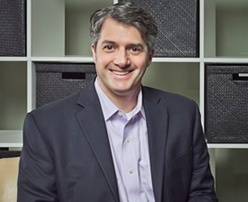 Previously at Monsanto, Drew served in various IT roles during his 20-year tenure. He has managed projects in excess of $20 million and has earned industry awards, including AgGateway’s Ron Storms Memorial Award for lifetime contributions to electronic commerce in the agri-business industry. A graduate of Washington University in St. Louis, Drew holds an MBA and degrees in computer science, electrical engineering, and systems engineering. When he’s not spending time with his wife, four children and dogs, Drew enjoys rehabbing houses and traveling. Tom brings his passion for understanding the marketplace, connecting with buyers, and collaborating with client teams to DataServ. With more than 20 years of experience in B2B marketing, Tom is well-versed in digital marketing, demand generation, brand building, public relations, and market research disciplines. His prior work at Equifax and Maritz developed his expertise in the financial services and human resources industries. Tom brings a unique combination of creative and analytical thinking to his role, which are vital to developing effective marketing and communications programs. Tom has a marketing degree with a minor in accounting from Missouri State University and an MBA from St. Louis University. Subscribing to a “life is good” outlook, Tom loves keeping up with his two children, traveling, and all things outdoors. Kristin’s focus is on proactively partnering with clients. She possesses expert knowledge of software initializations, requirement analysis, end-user training/support, and testing techniques. She lives in St. Louis with her husband and two daughters. As the leader of our client support team, Christine brings a wealth of experience in global tech support and call center management. She is focused on enhancing the client support experience through better monitoring, measurement, and analysis, as well as standardizing procedures and implementing best practices. With a mission to “change the world, one document at a time,” Marquie joined DataServ in 2007. Marquie troubleshoots Tier 2 issues to help drive resolutions for clients. He enjoys Brazilian jiu jitsu, judo, boxing, taekwondo, DJing, and feeding puppies. Amy manages our Digital Mailroom. She has worked in all areas of the department and fully understands what is required to provide clients fast, accurate data capture – while processing literally millions of documents each month. David is on our front lines, connecting the right people with the right technology. His goal is to understand our prospective clients’ needs and help them determine how their business processes can benefit from technology. He loves watching sports, playing golf, and fishing. Ryan leads the Solution Delivery Team, where he is responsible for designing, configuring, and managing project initializations. He brings a practical approach to the team, bridging business problems with IT solutions. He is a native St. Louisan and resides in South City. Rob serves as a project manager and is responsible for the success of client initializations. He guides clients through the initialization process, working as a bridge between the account management and client success teams at DataServ. 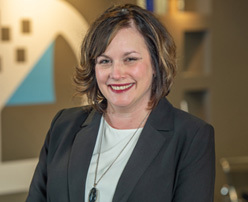 Tiffany has been successfully selling in the information technology and services industry for more than 15 years, with an emphasis on leading clients to effective SaaS solutions. She is a known bookworm and a coffee fanatic. Tony designs, configures, and manages solution initializations for new and existing DataServ clients. He has worked in financial technology since 2010 and joined the Solution Delivery Team in 2016. He enjoys playing sports, spending time outdoors, traveling the world, and being with his family and dogs. Jim has a proven client-focused and results-oriented sales history of IT software and services. He interacts comfortably at all management levels with the ability to clearly understand business and operational objectives and directly address the needs and goals of companies both large and small. Dena is often the first point of contact with our people and solutions. She has the innate ability to help prospective clients identify their unmet needs and desires, assisting with prioritizing internal process improvement initiatives and strategizing for premium efficiency and productivity gains. Paula handles the strategic initialization of talent management and development of company policies. She oversees employee benefits and compensation plans and ensures we are compliant with state and federal laws. Paula enjoys biking, walking, and binge-watching Netflix. Jack is a seasoned sales professional and is passionate about his customers’ success. 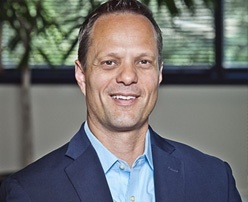 He has provided valuable ERP and supply chain software, services, and solutions to leaders in the manufacturing, distribution, and event industries. Jack loves to travel and wants to visit every beach in the world with his wife. Chris is focused on ensuring that the system functions correctly and that our clients are fully confident in using the DataServ platform. He has outstanding analytical and problem-solving skills and is adept at creating efficiencies. In his free time, he enjoys playing basketball and golf. 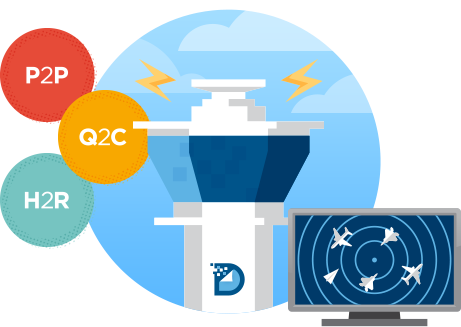 Let us show you how DataServ can tailor a solution to meet your specific needs.